Autumn is time for Pumpkin soup variations again! One of the most delicious dishes that can be conjured up from the orange “giant” is the pumpkin soup. Whether as a menu start, as a main dish for every day or pulp after Halloween: pumpkin soup always fits and tastes fine mashed just as well as a hearty stew. The preparation is uncomplicated, and the basic recipe can be combined and refined in many ways. For seasoning, fresh herbs such as parsley and coriander are ideal. But also chili, nutmeg and coconut milk bring a wonderful aroma to the dish. With its bright colors, the pumpkin soup is an eye-catcher. 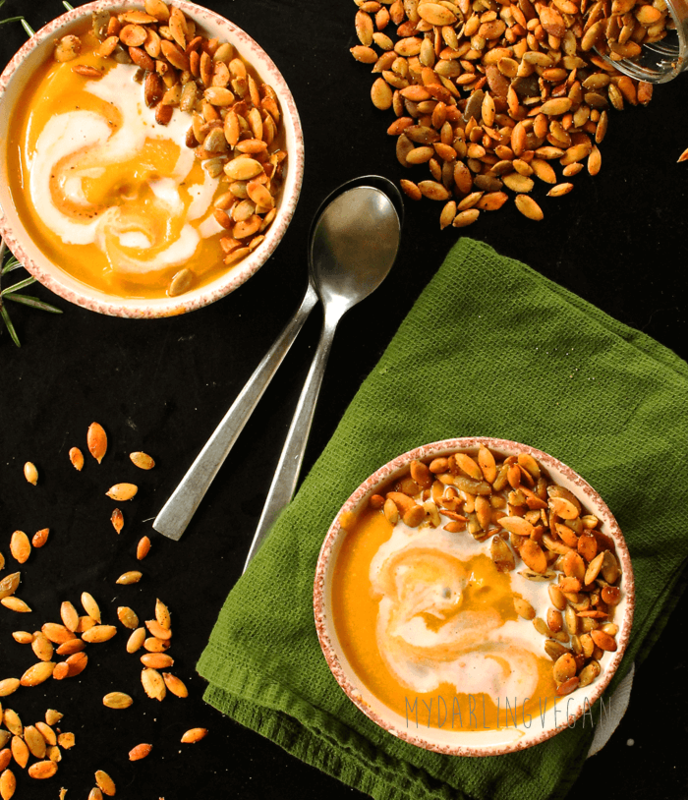 Pumpkin soup tastes of autumn – hot, creamy, spicy! We have put together great and special pumpkin soup variations for you. Have you got appetite? Then get your hands on the soup spoons, get set, go! 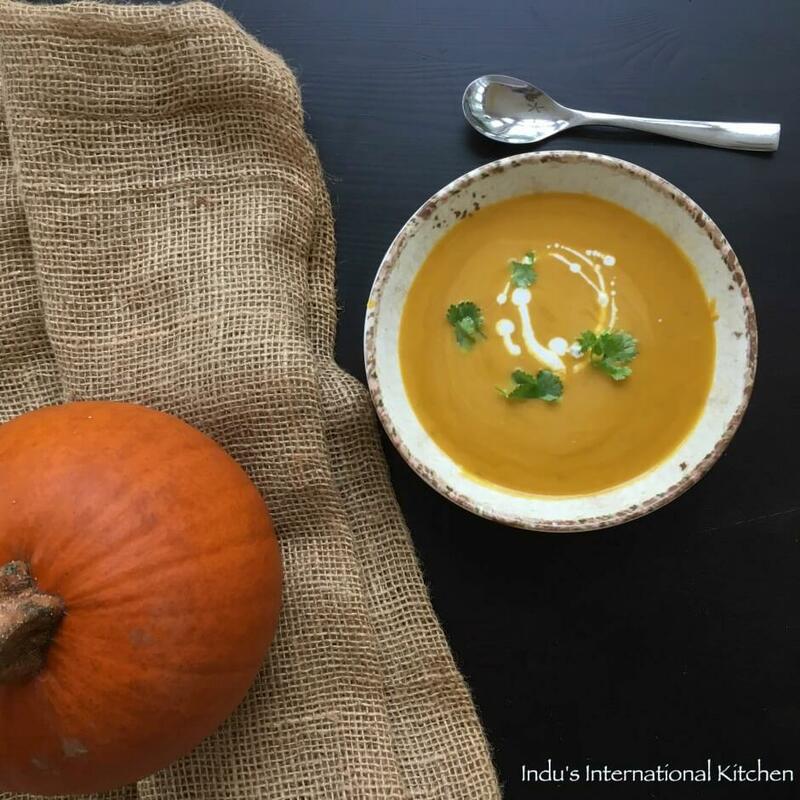 For the past two weeks, its about warm and comforting soups and this pumpkin coconut soup is one such comforting bowl of deliciousness that makes you relax, unwind and be thankful. I decided to make some dal shorba and combine it with pumpkin. 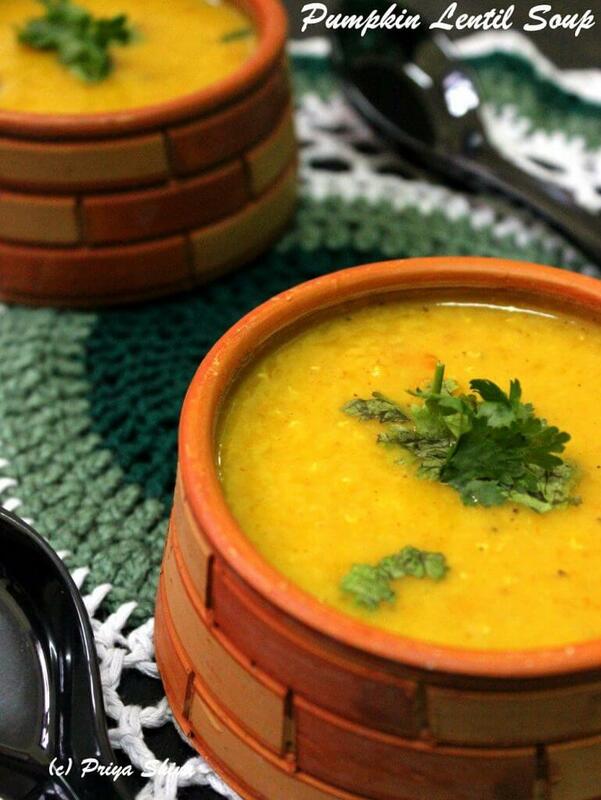 I have used red lentil to make this soup and used mild spices. 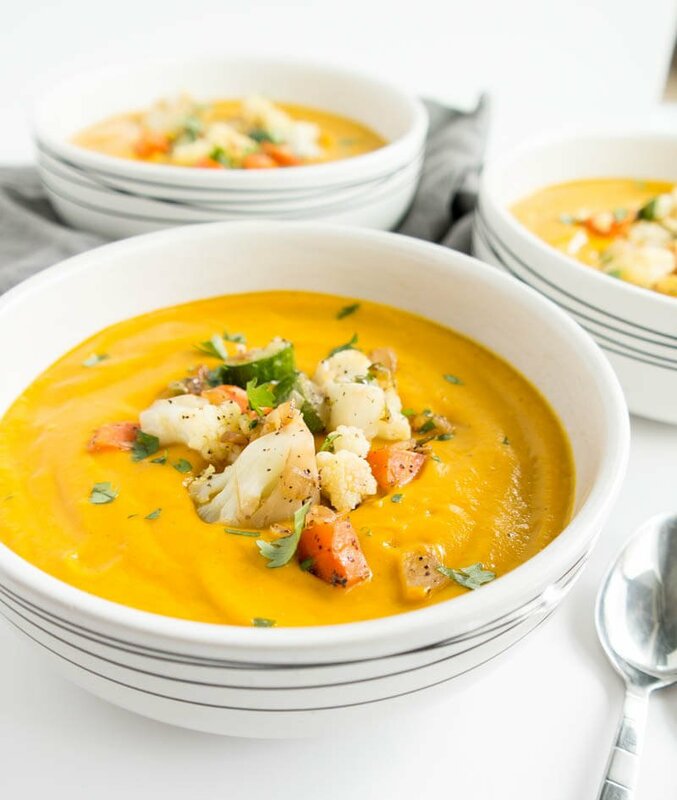 The addition of pumpkin adds a light sweetness to this soup. It is a healthy and comforting soup. So, sharing the recipe and hope you try it out and share the feedback with me. This soup epitomizes everything I love about Fall in it’s warm pumpkin-y goodness. And there’s nothing like it that keeps me grounded in the present moment because I don’t want to miss even one creamy bite. This recipe makes 6 heaping cups of soup – so about 4 large bowls, making it a great “meal prep” recipe! Plus, soups are transportable and easy to re-heat. I stored leftovers in jars.